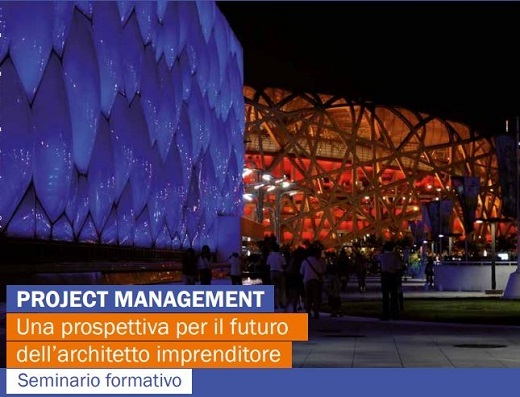 The training seminar Project Management: Perspective of the Architect Entrepreneur will be held on Wednesday 19 July from 2 pm to 7.30 pm, organized by the Order of Architects of Rome. The seminar, promoted by the OAR Department of Internationalization, is dedicated to professionals in the field of architecture in order to grasp the challenges of the market. Among the invited international studios will be ARUP DESIGN & ENGINEERING and GRIMSHAW ARCHITECTS & ITALIAN CONSTRUCTIONS together with CEPAS BUREAU VERITAS. The event will open with greetings from the president of OAR, Alessandro Ridolfi. Speakers: architect Benedetta Gargiulo Morelli, engineer Ercolle Colonese – project manager, engineer Pierluigi Guida – project manager, Dr. Massimo Dutto – managing director, Cepas Bureau Veritas, architect Giammichele Melis – project manager, ARUP DESIGN & ENGINEERING, Architect Paolo Vimercati – Project Manager GRIMSHAW ARCHITECTS, Dr. Luca Navarra – Managing Director ITALIANA COSTRUZIONI. Architect Annamaria di Fabio – TECNIC ENGINEERS & ARCHITECTS will moderate the meeting. Participation in the event recognizes 4 training credits for members.